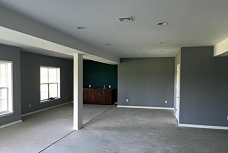 We specialize in finished basements and attics, drywall installation, and interior and exterior painting. 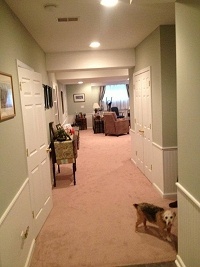 From concept to completion, we work with you to deliver the basement of your dreams, for an affordable price. 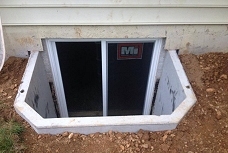 Basements are usually dark and design challenged spaces for the typical homeowner. A basement that is finished without design and construction knowledge becomes little more than a finished storage place. No one enjoys going downstairs into a dark, cut-up space. From a resale standpoint, a basement finish that is poorly designed and constructed will actually detract from the home�s value. A potential buyer, at best, will see the basement as a neutral feature and, at worst, will factor the cost of having to remodel the basement into the home�s value. 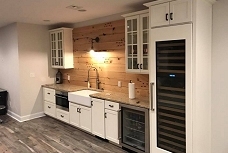 Chester County Basements will design and construct a basement that feels like another level of the home, rather than just a basement, we will add value both in terms of quality of life and also as a return on investment at time of resale. 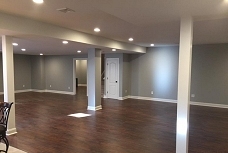 Quality of design and construction is the single biggest factor in determining the value of your basement finish. 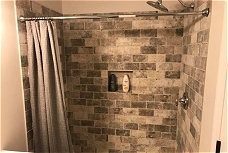 Our goal is to turn your basement space into an area as nice (or nicer) than your main living space. The finished space will truly be your new lower level. 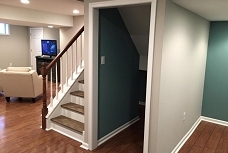 We specialize in designing and constructing even the most complicated and sized projects converting your basement into affordable and usable living space for you and your family including all phases of finished basements, drywall installation, and interior and exterior painting. Located in Downingtown, Pennsylvania and serving all of Chester County and most neighbor counties. Call or email us for a free consultation and in-home estimate. © 2003 Chester County Basements. All Rights Reserved.